On January 15th, Yahoo News published an article that could represent a new step toward forthrightness regarding possible off-world life. The article discusses the possibilities surrounding a star located roughly 1,500 light-years away which was originally thought to be nothing of significant scientific interest. Then something changed. Yahoo News had this to say. “While the prospect of aliens was first launched by Penn State astronomer Jason Wright, almost everyone in the astronomy community agreed that the chances that this was the case were "very low." Now, the latest investigations into this strange star by Louisiana State University astronomer Bradley Schaefer have reignited the alien theory, New Scientist reported. What makes this star, KIC8462852, so bizarre is the drastic changes in light we see from it over time. Many stars experience temporary fluctuations in brightness, increasing and decreasing in luminosity over time, but KIC8462852's changes are severe by comparison. Between 2009 and 2013, astronomers using the Kepler space telescope discovered that it would sometimes lose up to 20% of its brightness. What's more, the changes didn't follow any obvious pattern. Yahoo went on to discuss Dr. Bradley Schaefer's long and arduous process of ruling out the theory that this periodic dimming was caused by comets. This finding left one door virtually closed, but at the same time, the finding re-established the possibility that a Dyson's Sphere may be behind this pattern of stellar dimming (though this possibility was mentioned in an earlier article). Yahoo continues. “By killing the comet theory, Schaefer has brought us one step closer to finding out what is really happening around KIC8462852. At the same time, he's also reignited the possibility that the source could be an alien mega-structure that an advanced alien civilization has been slowly building over time. One thing's certain for Schaefer: The bizarre dimmings are probably caused by a single, physical mechanism that's undergoing some type of ongoing change. "The century-long dimming and the day-long dips are both just extreme ends of a spectrum of timescales for unique dimming events, so by Ockham's Razor, all this is produced by one physical mechanism," Shaefer said in his paper. "This one mechanism does not appear as any isolated catastrophic event in the last century, but rather must be some ongoing process with continuous effects." These statements may very-well represent a paradigm shift in the world of astronomy, as well as the entirety of science as we know it. It has not exactly been a common occurrence in mainstream media for an established scientist to mention possible alien life--at least not without the statement being immediately followed by chuckling. However, in recent years, this reaction of blind ridicule and dismissal no longer seems to be the norm within the scientific community. Personally speaking, I have always found it curious that modern, conventional science seems to have held the 15th Century ideology that the Earth was the center of the universe with regard to sentient life. The fact of the matter is that the possibility of intelligent ET life has always been substantial, and yet it has taken this long for a scientist to be published on a stage of mainstream media stating this possibility. Even still, this new topic of discussion in media appears to be a step in the right direction. 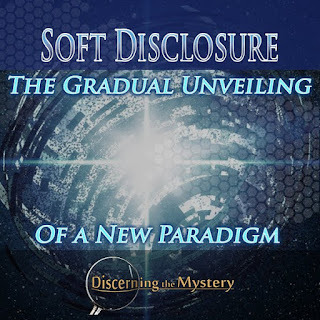 With personalities such as Corey Goode and David Wilcock disclosing the galactic possibilities behind our currently accepted paradigm, disclosures such as those found on Yahoo News may seem a bit dull, as well as predictable. Every week there are new possibilities being published in mainstream media which alternative, insider testimony substantiated ages ago. Therein lies the frustration of many of those who depend upon alternative media for their information. We have an idea of the size and scope of the big picture that is slowly being revealed to us by the mainstream, and are understandably anxious for these media sources to step on the gas (or push the 'transporter' button). Click here to visit David Wilcock's site, Divine Cosmos. Click here to visit Corey Goode's website, Sphere-Being Alliance. 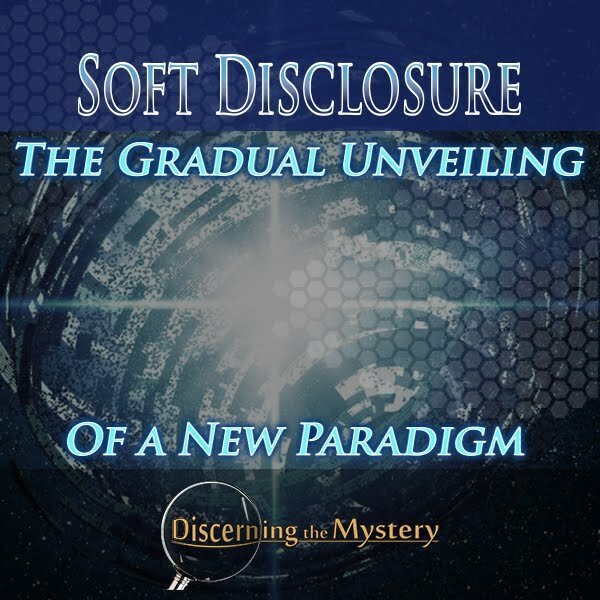 When considering all of the possibilities behind the process of disclosure, it can be pretty easy to get excited. How might the world change? What new possibilities will we be presented with? These and many other questions may immediately come to mind. Yet still, I believe it is very important for us to remember that the responsibility of creating and manifesting this event rests within each one of us. At the same time, within each of us lies the responsibility to prepare ourselves for newness—that means physically, emotionally, energetically and spiritually. This preparation can be a significant determining factor as to how we receive the full disclosure to come. The desire for information can cause a person to respond in a number of ways. Some people turn to mainstream media. Others turn to alternative sources and explore the possibilities therein. Some people--out of the fear of their own ignorance--will cling to the first alternative source they find as undeniable truth, with little or no preparation or forethought. Still, there are those who choose to journey within and to ensure that if they do find truth, they are actually ready and willing to receive it. And then there are those who simply sit back and do nothing, and who choose to ignore the desire within themselves to learn, believing that the endeavor to find accurate truth is too daunting of a task to complete. The way in which a person pursues the desire for truth will ultimately determine the quality of the information they find. As previously mentioned, disclosure is not simply the responsibility of those who have curtailed information from humanity. It is the responsibility of each of us to catalyze and to prepare for the full disclosure we intend to see. Whether we call it the new paradigm or the golden age, the power lies within each of us to bring both its revelation and application into the tangible world.